London-based artist Kate MccGwire has created Gyre, a sculpture made using crow feathers. 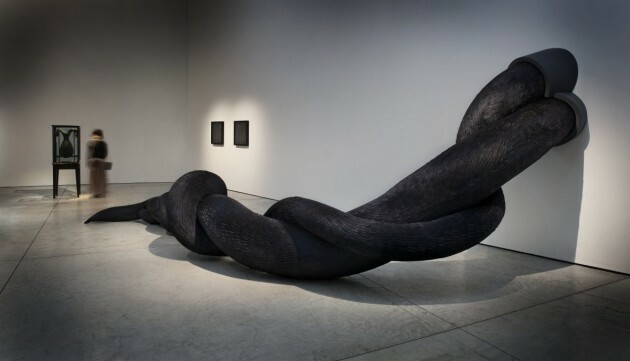 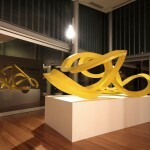 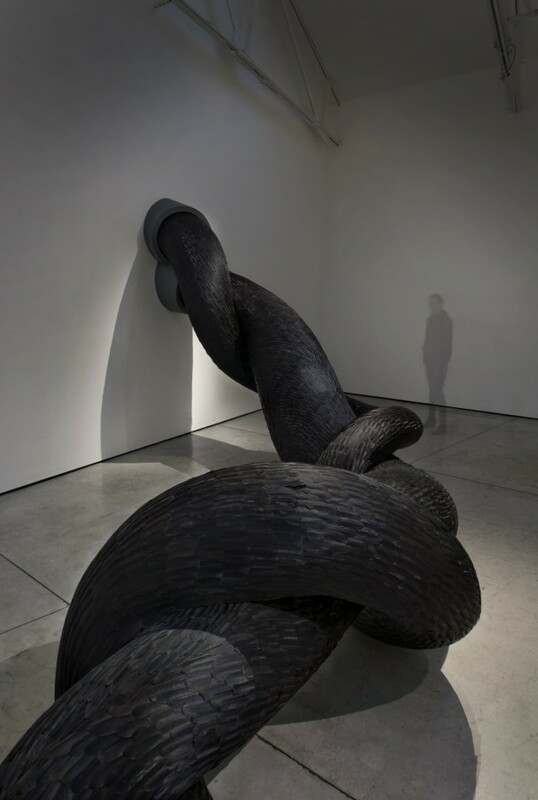 Gyre, a large installation piece bringing together MccGwire’s enduring themes through its gestural obsidian form. 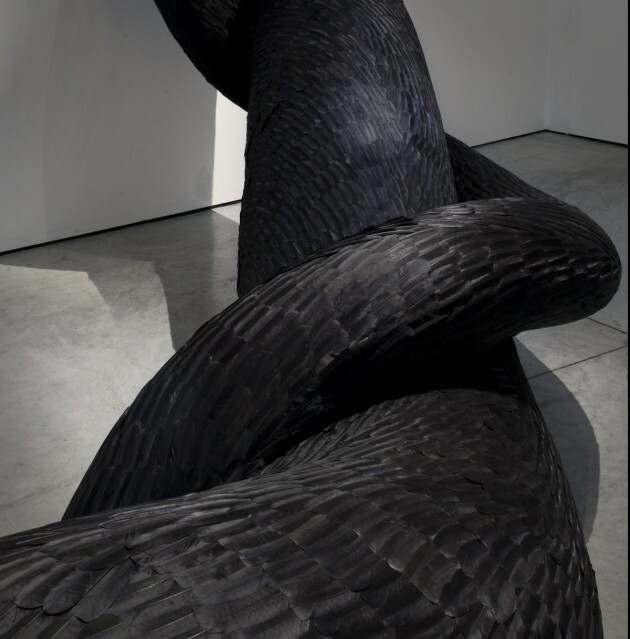 Formed from a vast collection of crow feathers, the piece refers to the cultural mythologies of crows as devious creatures, omens of bad luck when seen in pairs and closely associated with death due to their unbidden presence on battlefields and graveyards. 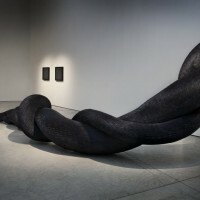 These unconscious associations are inscribed in the silken black surface of the structure, and intensify as Gyre’s sheer scale causes it to exceed the boundaries of the cabinet, viscerally invading the formal space of the gallery. 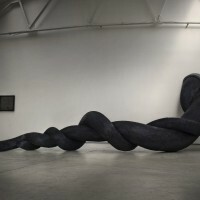 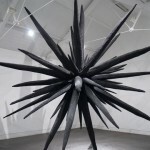 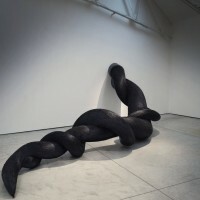 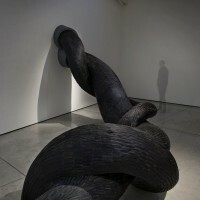 The piece appears organic, almost umbilical as its tendrils entwine with one another, wrapped closely to the structure evoking the primal dependence of both mother and child, and the parasite.